The 20-member manifesto committee has several Union Ministers in it, including Arun Jaitley, Ravi Shankar Prasad, Nirmala Sitharaman, Thaawarchand Gehlot, Piyush Goyal and Mukhtar Abbas Naqvi. 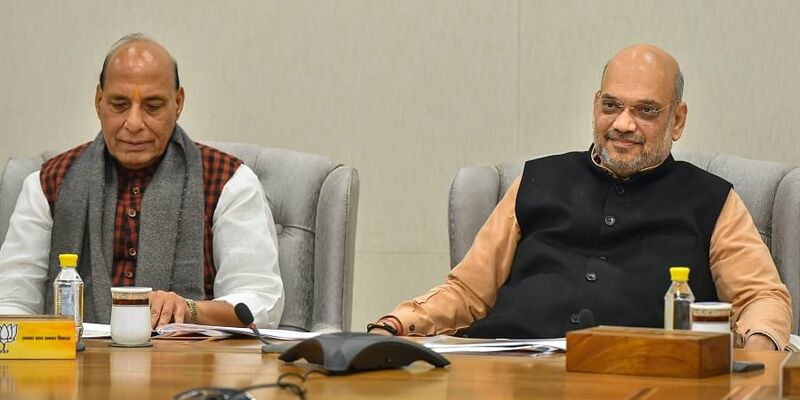 NEW DELHI: The 20-member manifesto committee of the Bharatiya Janata Party (BJP) headed by Home Minister Rajanth Singh met here on Sunday and decided to constitute 15 sub-committees to work on the 2019 "Sankalp Patra", or manifesto. "In today's meeting, we have discussed about the structure of 'Sankalp Patra'. A decision has been taken to constitute 15 sub-committees that will include stakeholders from various fields to establish direct communication with the public," Singh told reporters after the meeting. The meeting was attended among others by BJP President Amit Shah and party General Secretary Ram Madhav. Other heavyweights figuring in the manifesto panel are former Madhya Pradesh Chief Minister Shivraj Singh Chouhan, Bihar Deputy Chief Minister Sushil Modi, Uttar Pradesh Deputy Chief Minister Keshav Prasad Maurya and Lok Sabha member Meenakshi Lekhi. The party had constituted the manifesto committee on January 6 this year.